As an affiliate marketer, you create visibility for other people’s products. This mastermind extract explains how to do it effectively by offering practical value for customers. 01:31 – What do your customers always need? We are looking at the affiliate marketing topic now. My affiliate marketing tip is to assemble courses that funnel people into your affiliate recommendations, or place resource tools around your website. If you have ever clicked on the Recommended tab on SuperFastBusiness, you’ll see there’s a little dropdown with different tools. Some of those are my affiliate links. I’ve put them where my customers are who are likely to use them. I also assemble courses sometimes and some of the bloggers do this particularly well for reference. Pat Flynn, his main income source according to his report, is Bluehost’s hosting. And he’s giving away a course on his blog that teaches people to be just like him, and how to blog, and they need hosting. 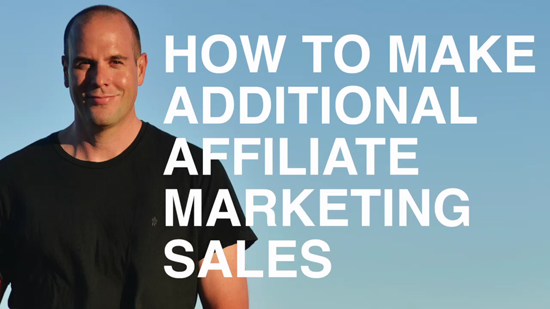 So that’s a great way to generate an affiliate marketing campaign, is to put together a free course or a list of resources where you can link people for an affiliate link. It’s up to you how you disclose it. Most people do and found it particularly effective. What do your customers always use? There are some things that all of your customers will continually use. For me, my customers are always going to need domain names, email autoresponders, hosting, books on Kindle, etc. So I have got affiliates’ links to shopping carts, hosting, and email autoresponders. These things do quite well for me, and copywriting courses and recently, conversion courses. I emailed about one yesterday because it’s exactly what my customers are interested in and it’s a great quality course. And where possible, if it was an evergreen product, which is the best type of affiliate product to promote, I would put out an evergreen link in an evergreen course that I would give away. So I’m constantly having my team go through Own The Racecourse, and update the links to whatever the latest recommendations we have are. In fact, I’ll just give you one extra stage of tip here. If you’re going to recommend something for a long time, get a dedicated domain for it, and you can change your affiliate link on the domain but keep the same link. So for the longest time I’ve had a link for hosting, and I think it’s clickhereforhosting.com, and I’ve changed it over time from HostGator to WP Engine, because I felt that HostGator were no longer a good company for hosting, from my own experience and the experience of others, and I felt that WP Engine is a better fit for a lot of my WordPress customers. So I can change the recommendation without having to go and rewrite in the courses where it’s linked to it.